Rome is one of the oldest and most historic cities in Italy and the world. 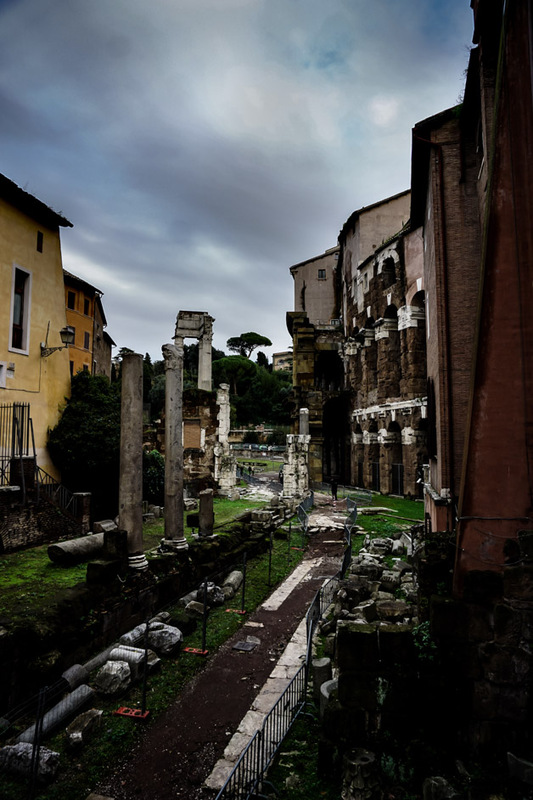 Though they are a far cry from the modern buildings that now blanket the city, the ruins that have remained at every corner give clues to Rome’s fascinating and grandiose past. These stone ruins have held their structure and history impeccably well given their incredible age. Providing much fascinating insight into Rome’s past and as well as being rumored to also contain traces of the paranormal. View of the Roman Colosseum from a distance. One of the most recognizable and haunted places in Rome, Italy. The Roman Colosseum is one of the world’s most recognizable landmarks. 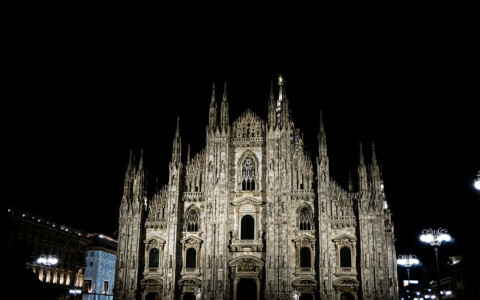 It has stood proudly since its construction began in 70AD. It also wields many stories and legends from its long and bloody past. Not surprisingly, given the amount of death experienced at the Colosseum, some of these legends contain mention of the paranormal. 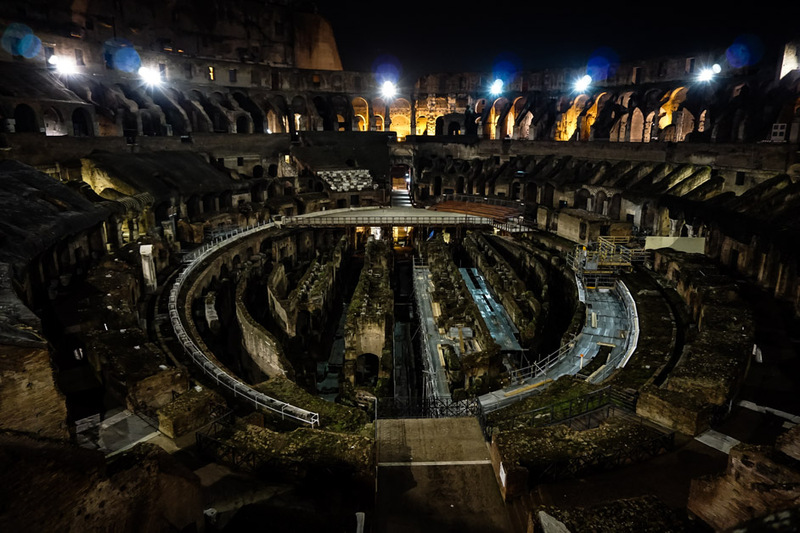 View of the Roman Colosseum’s interior at night. The Roman Colosseum was designed to house thousands of spectators and in turn, entertain those masses. Entertainment forms were vastly different in the times of the Ancient Romans in comparison to today. The Colosseum presented a mix of Gladiator fights (sometimes to the death), hunting of exotic animals, public executions and even great battles upon water (rumored to have flooded the Colosseum, though not definitively proven to have existed). 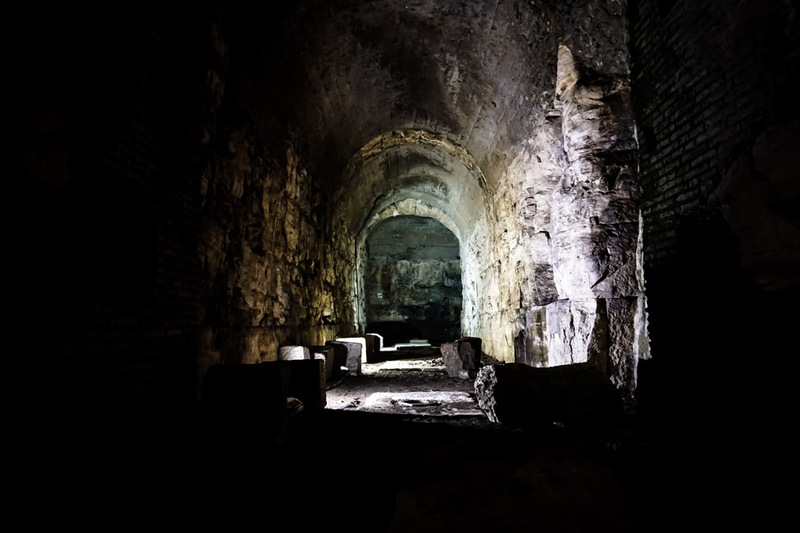 Given the countless deaths that would have occurred within this great battle place, it comes as no surprise to learn that many people believe that Colosseum is one of the most haunted places in Rome. Numerous tales of paranormal activity occurring in and around the building exist. A ghostly Roman soldier has been seen by many people, guarding the Colosseum in the darkness of night. Furthermore, phantom crowds and apparitions have been reported within the stadium. There have also been people who have heard noises as if from the past. These include crowd cheers, wails or screams of pain and even the roars and growls of exotic animals, known to have been hunted within this haunted building. In the depths of the haunted Colosseum at night. The Roman Colosseum is open daily for visitors. Tickets can be purchased online or at the venue. I advise against most street vendors, who offer overpriced or non-valid ticket options. Passes to the Colosseum can also be purchased as a package from the Roman Forum, which generally has a much shorter line. Night time tours are available seasonally. These can be purchased from tour guides out the front of the site, though are actually far cheaper from online retailers. You’ll find the Colosseum at Piazza del Colosseo, 1, 00184 Roma RM, Italy. Sitting in the heart of modern-day Rome is what was once the epicenter of the great, ancient city. 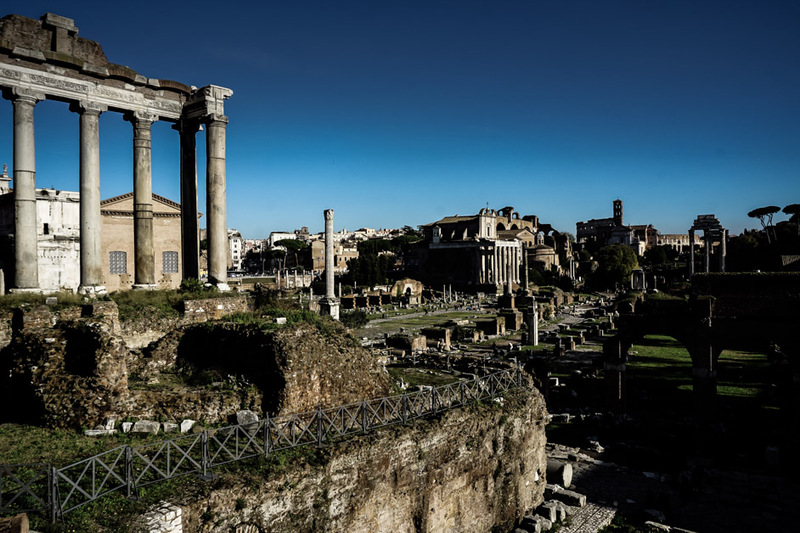 The Roman Forum is a well-preserved set of ruins that represent what is likely the most important historic sites within Rome. Parts of this once bustling city center date back many hundreds of years. Looking out over the ruined and haunted Roman Forum. The old city has seen many important historical events and had many famed, significant leaders walk its paths. The best known of these leaders was Julius Caesar, who managed to become a dictator in Rome. This act was what eventually led to his mutiny and murder. He was stabbed to death by around 60 men. His remains today, are buried at the Roman Forum and are sheltered and marked with a grave. 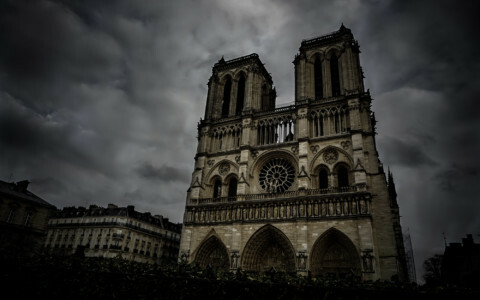 Some rumors exist that he may actually continue to haunt the area around which he is buried and Rome in general. Given the amount of history associated with this spectacular ruin, it seems likely that a number of other spirits could dwell within the Roman Forum. Tickets to the Roman Forum can be purchased online or at the front gates. 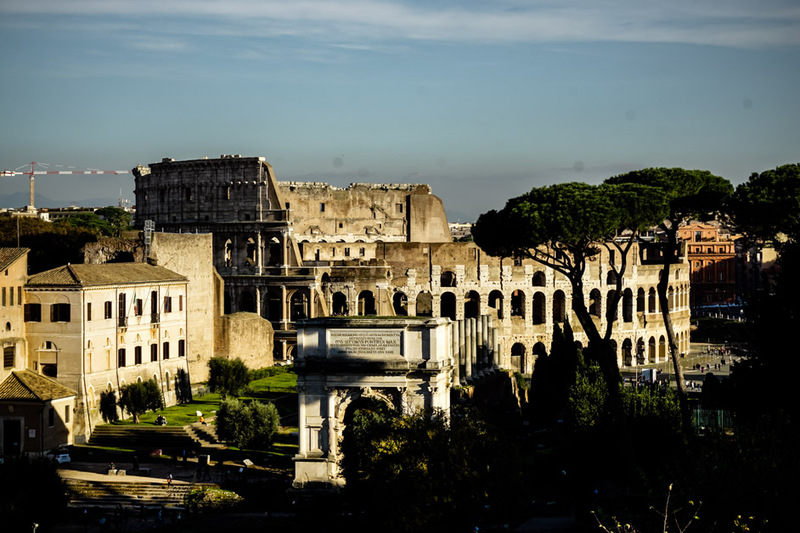 Each time I have visited, lines have been short and a combination ticket can be purchased to visit both the Forum and the nearby Roman Colosseum. You can find the Roman Forum at Via della Salara Vecchia, 5/6, 00186 Roma RM, Italy. 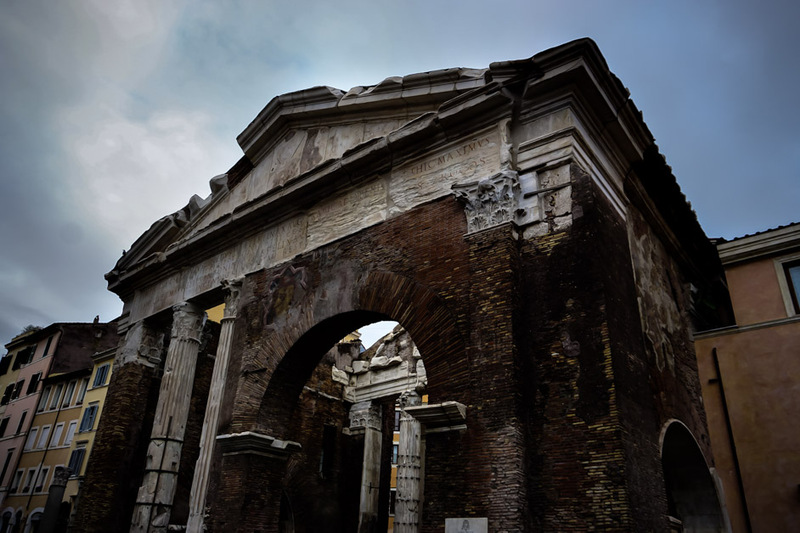 The Portico Of Octavia, also known as the Jewish Ghetto are the ruins of an ancient structure which once enclosed temples and a library. The site is a beautiful one with many structures that can be explored via a raised platform. 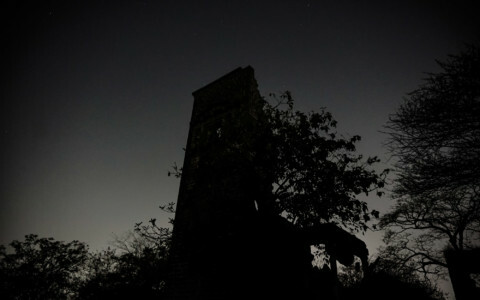 There is some scandalous and ghostly history associated with this site, making it of interest to paranormal enthusiasts. During the time of the first century, a beautiful woman, known as Julia Berenice, captured the attention of Emperor Titus. Lovestruck, the Emperor married the woman, but her scandalous past was frowned upon by the Roman people. After all, she had already married her own uncle and been overly romantic with her brother. Julia became exiled from Rome and was forced from the city. She never returned to Rome, at least whilst she was alive. Since her death, many have reported to sight the apparition of Julia Bernice’s ghost hanging around the Portico of Octavia. Some of the many haunted ruins in Rome, Italy. The Portice of Octavia. The Portico of Octavia is a short and walk from some of the main sightseeing places in Rome. It can be viewed from a series of platforms and is a small, yet pleasant ruin. You will find the Jewish Ghetto at Via del Portico d’Ottavia, 29, 00186 Roma RM, Italy. The Piazza Navona is an energetic area lined with designer stores, restaurants and street vendors. One of the cleanest and visually stunning public places in the city, it also boasts multiple marble water fountains, which are works of art worth enjoying. Though this place is known as a relaxed destination, it is occupied by a particularly cheeky spirit. 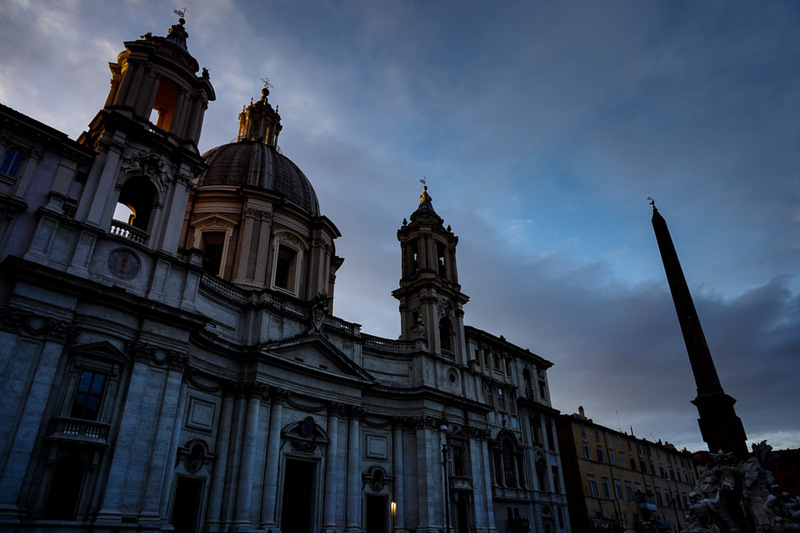 The magnificent architecture which lines the haunted Piazza Navona. The spirit that resides here, Valeria Messalina, was once married to Emperor Claudius. A strain was placed on this marriage due to Messalina’s reputation for her promiscuous and many sexual exploits. One story exists of her challenging Rome’s most famous prostitute to a challenge to see who could take the most sexual partners in an evening and win. This reputation paired with her public marriage to another angered the Emperor to the point that he decided to have her murdered. Ever since her death, it is said that she dwells in the Piazza Navona, continuing her promiscuous ways. Here, she is rumored to actually pinch and grab the behinds of unsuspecting, handsome men walking by. 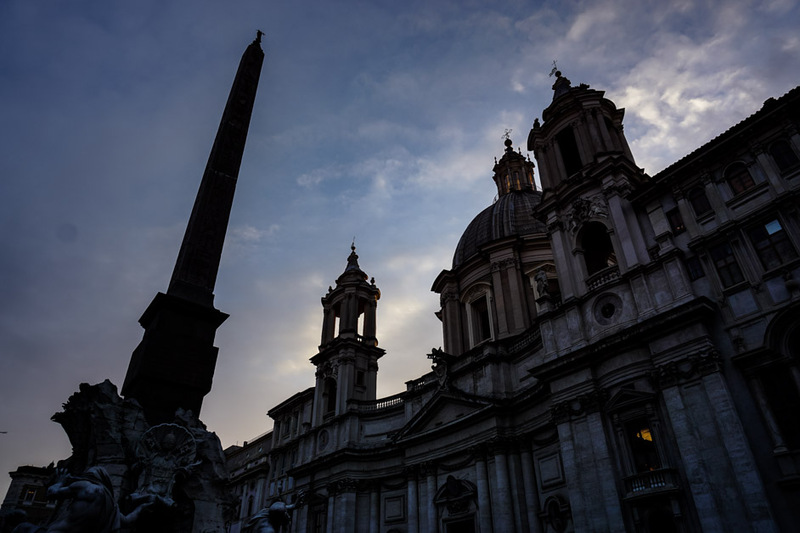 Walking through the Piazza Navona at dusk. Entrance to the Piazza Navona is free and one should pay caution to some of the scam artists that hang around this area. It makes a great place to explore in the evening as there are many dining options. You will find the haunted Piazza Navona at Piazza Navona, 00186 Roma RM, Italy. 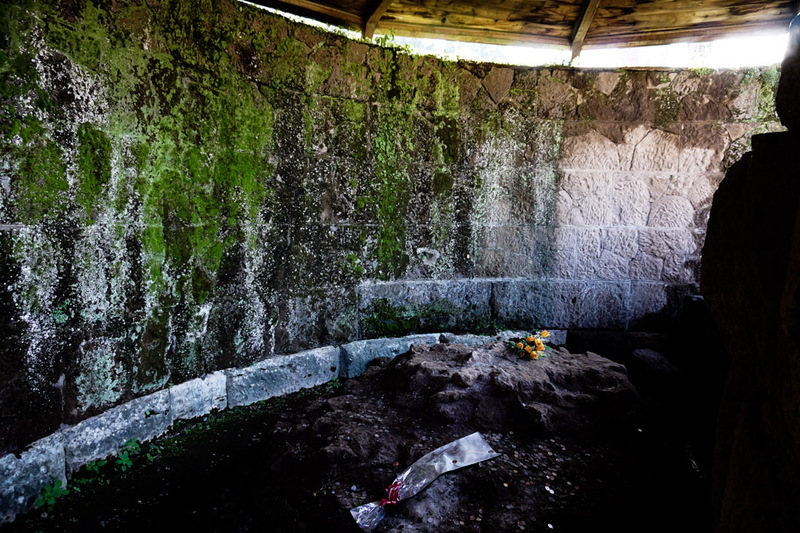 The Museum of Purgatory is the smallest location on this list, though one of the creepiest. It exists in the dark reaches of the grand, old Chiesa del Sacro Cuore del Suffragio. Burn marks left from where a ghost touched a book. 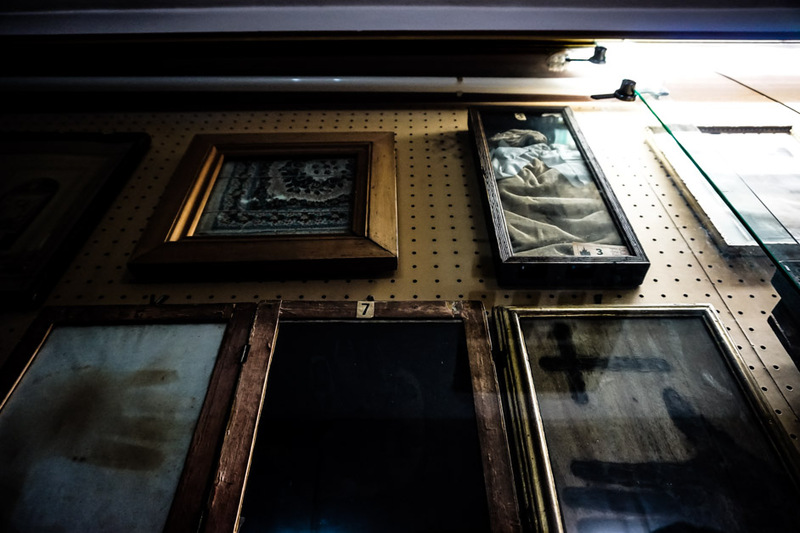 The museum holds multiple items that are believed to have been marked by souls trapped in purgatory. 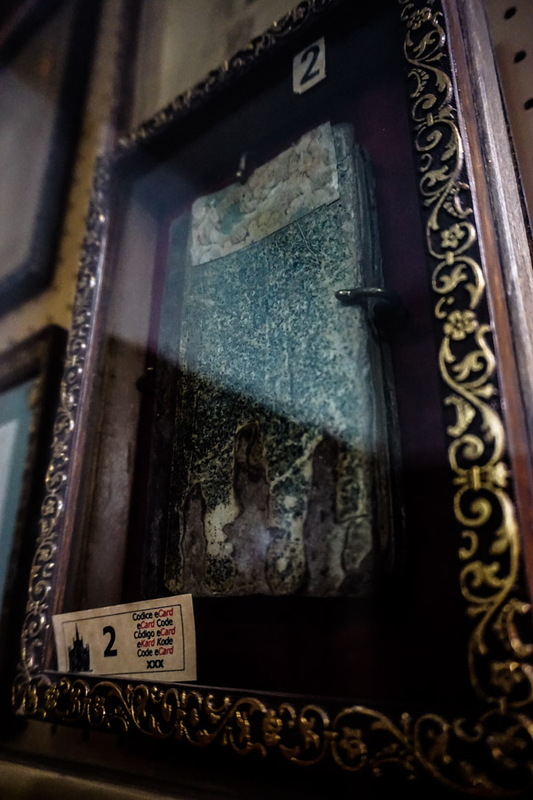 Some of those on display show what appears to be hand prints burned into pieces of clothing, bibles or other everyday items, claimed to have been touched by those who had passed over. One photo within the museum even shows a tormented, though demonic looking face which was burned into the walls of a church, which had actually caught alight. Entrance into the church is free, though it is customary to offer a small monetary donation to view the Museum of Purgatory. This exists in a small room at the rear end of the church. All displays are encased behind a small glass window and many are not the actual item, yet photographs and photocopies of them. You will in the Museum of Purgatory within the Chiesa del Sacro Cuore del Suffragio Church at Lungotevere Prati, 12, 00193 Roma RM, Italy. Burnt items on display in the Museum of Purgatory, Rome. If you enjoyed this article and are interested in learning about other haunted locations within European cities, I recommend checking out the most haunted places in Vienna, Austria.